In 2011, Chad and Meggie Foust decided to leave corporate America and the fast-paced lifestyle of Seattle and move home to Northern Idaho. Their dream was to raise their son, Lou, in a small town surrounded by natural beauty while sharing their favorite recipes with family and friends. 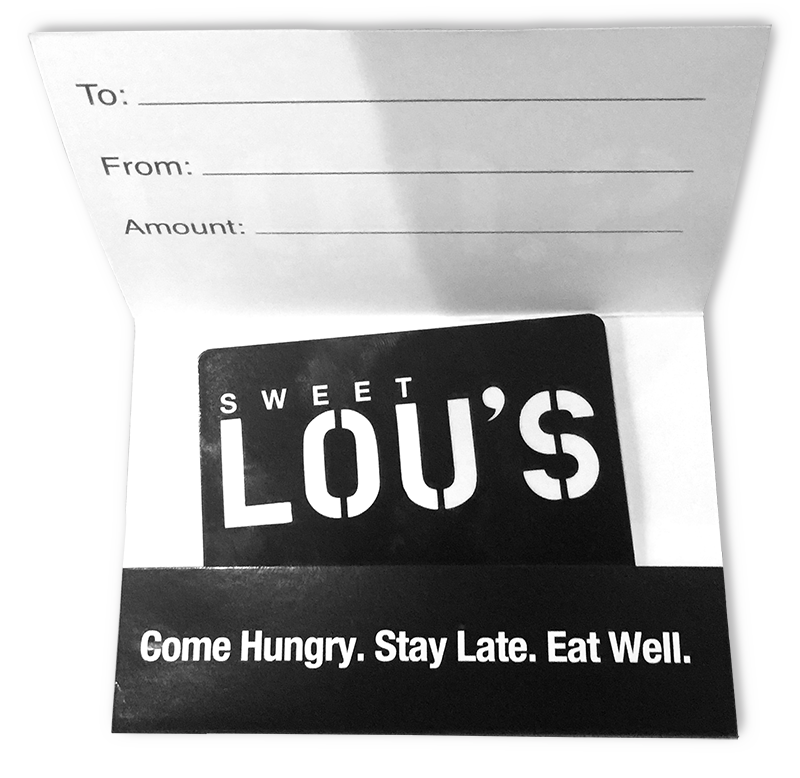 In April of 2011, the first Sweet Lou’s Restaurant and Bar opened on the shores of Lake Pend Oreille in Hope, Idaho. Named after their son, Sweet Lou’s takes a simplistic approach; guests are greeted with a smile and provided with great food, drink and service. Their concept was quickly embraced, and just a year later, the husband-and-wife team opened their second location—Sweet Lou’s Restaurant and Bar in Ponderay, Idaho – just north of Sandpoint, Idaho. In Ponderay you will find home-style comfort food, made with high-quality ingredients, served in generous portions, all at a reasonable price. Add 20, 4K televisions for great game viewing, a full bar featuring specialty drinks and 16 beers on tap to the mix, and you’ve found the recipe for Sweet Lou’s success. In 2016, Chad and Meggie decided to close the doors of the original Hope location and expand Sweet Lou’s to downtown Coeur d’Alene, operating as Sweet Lou’s Restaurant and Tap House. In Coeur d’Alene you will find the same delicious menu paired with 32 beers on tap and a great wine selection, offered in a casual space that has a more modern and industrial look, but still offers that “welcome to my home” hospitality. And yes, the game will be on for your enjoyment here, too. When they are not running a shift at either one of their locations, Chad and Meggie spend quite some time giving back to the community. Chad volunteers on the Greater Sandpoint Chamber board and coaches their son’s Little League team and Meggie volunteers on the board of the Panhandle Animal Shelter. Chad, Meggie and of course.... Sweet Little Lou!